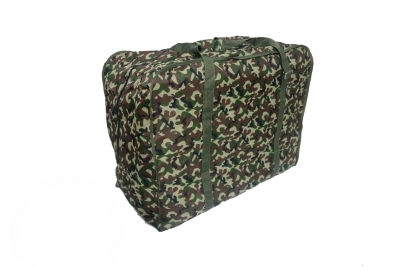 This camouflage bike bag provides a convenient way to store and transport your folded-up folding bike. It is made from an Oxford fabric with a PVC coating, and includes an adjustable strap that allows the user to carry it over the shoulder. The bag’s zipper allows the bag to be easily opened and closed.